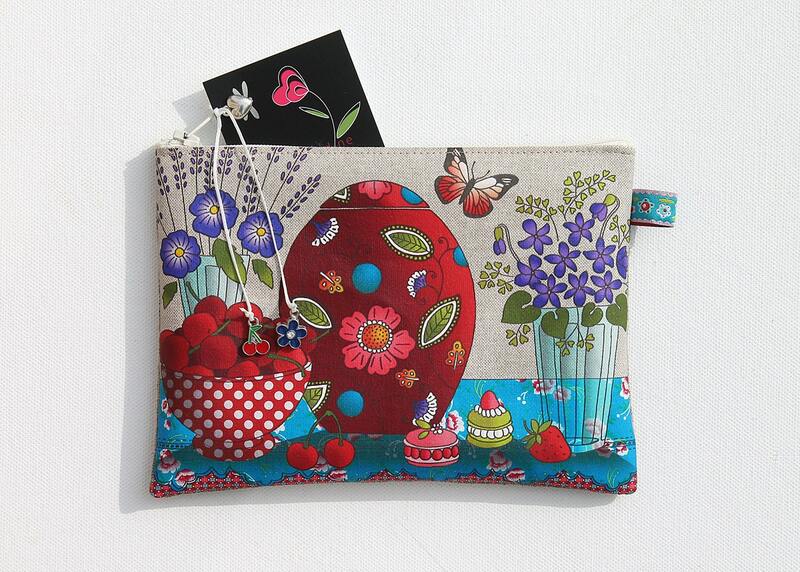 WALLET, coin purse, makeup in natural linen Kit. Original illustration printed on the front (warm transfer). The illustration shows a colorful composition of flowers and fruits, around a bowl of cherries and a small bouquet of violets. 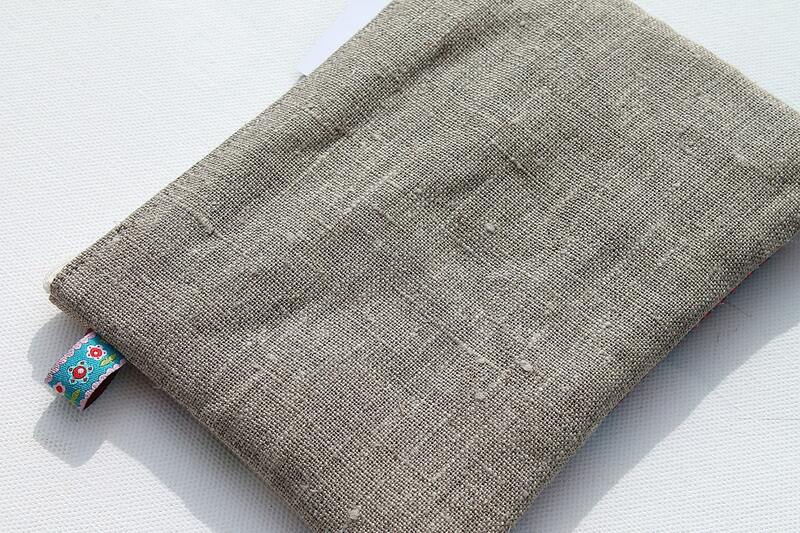 Back in natural linen. 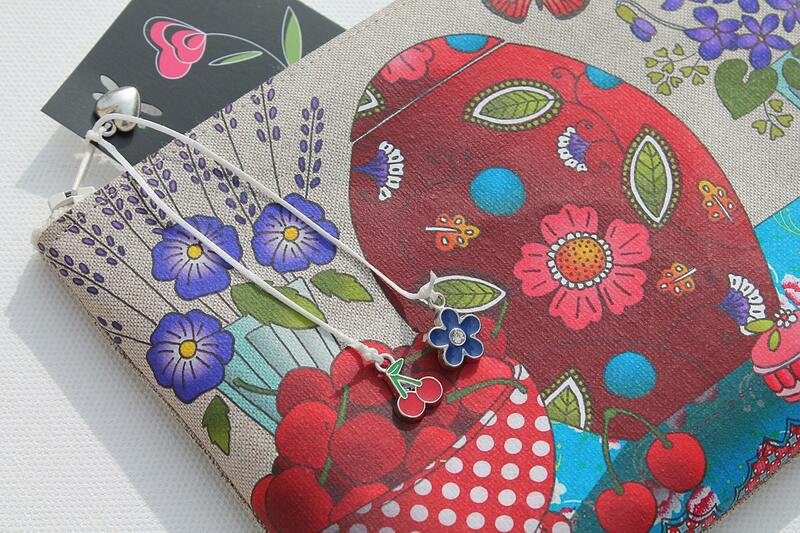 Small bag and zip closure finally (little heart, flower and cherry enameled metal).